From the tsunami in Japan and riots in Europe to extreme weather and a government debt downgrade in the United States, 2011 has been a difficult year. It’s tempting to kvetch, worry and cry, but maybe it’s time to drop out and hoist sail. For those who choose the latter, there will be plenty to look at when the big boat shows roll out the red carpet this fall. 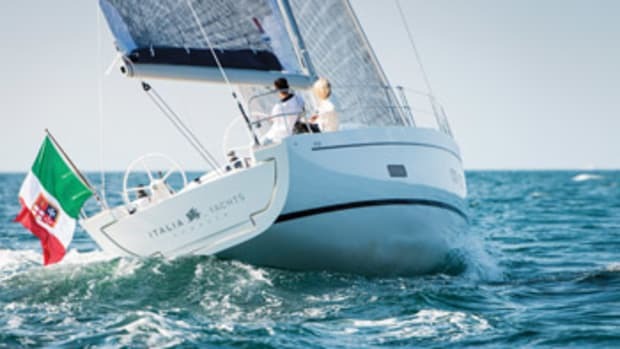 Confident that its upward trend will continue, Beneteau will be showing the Oceanis 41 and 45, which are being built in Marion, S.C. More efficient power management, LED lights and the Dock & Go joystick system on the 45 are key features. German builder Hanse Yachts, under new management, is trying to carry its momentum. 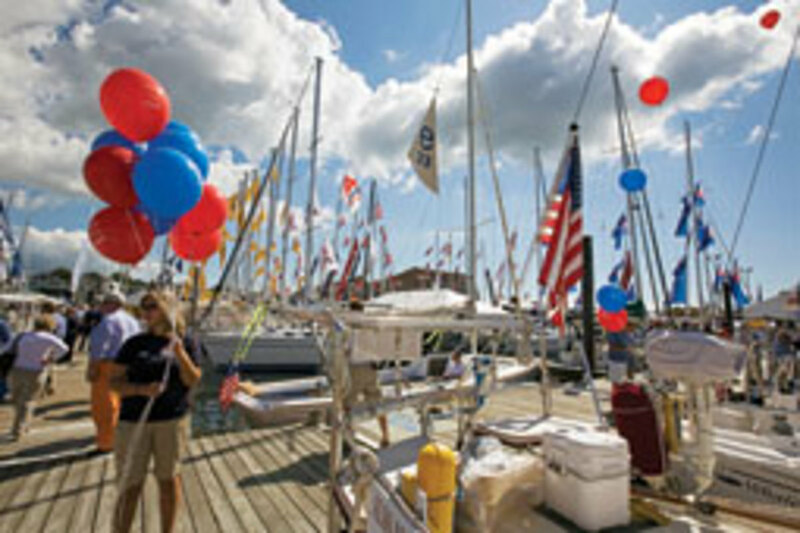 “We had the best year in a long time,” says Doug Brophy, managing director of Hanse Yachts USA (www.usa.hanseyachts.com). 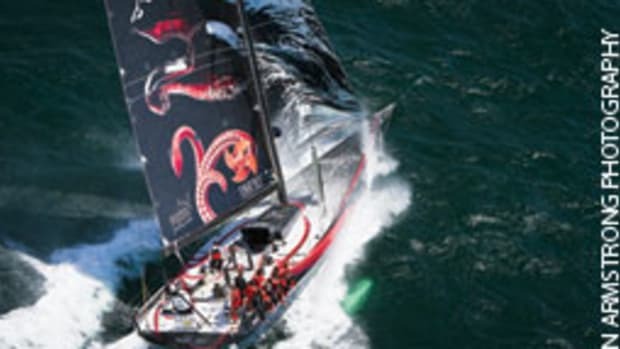 He hopes customers will take to such performance features as lightweight composite materials, aggressive sail plans and contemporary styling options for the interior. 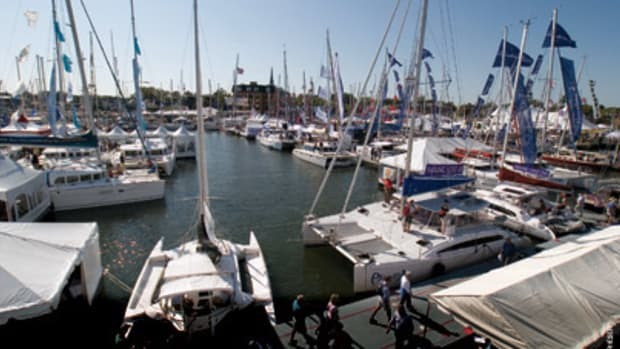 Hanse will show the Hanse 495, the Moody DS 45 deck saloon and the Moody 45 aft cockpit, as well as a joystick docking system. In the coming years, Feld says, the company will establish dealerships that Bavaria USA directly manages. 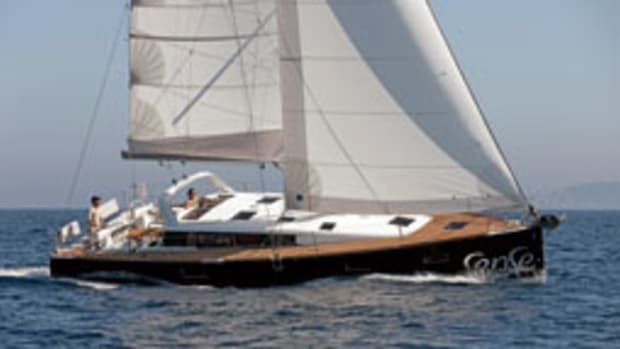 French builder Dufour Yachts (www.dufour-yachts.com), which Bavaria now owns, expects to show the new twin-wheel Dufour 445 in Annapolis, Md. 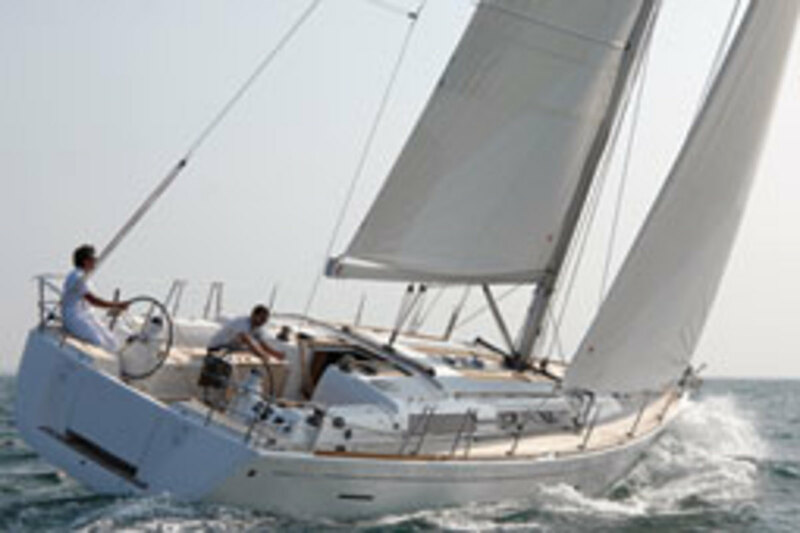 Dufour continues to serve experienced sailors who like French styling and a combination of comfort and performance. A strong candidate for the eye-candy award this fall is the Herreshoff 20, a daysailer design that’s taken from a model Nathanael G. Herreshoff crafted in 1928 as the replacement for the Herreshoff 12-1/2. 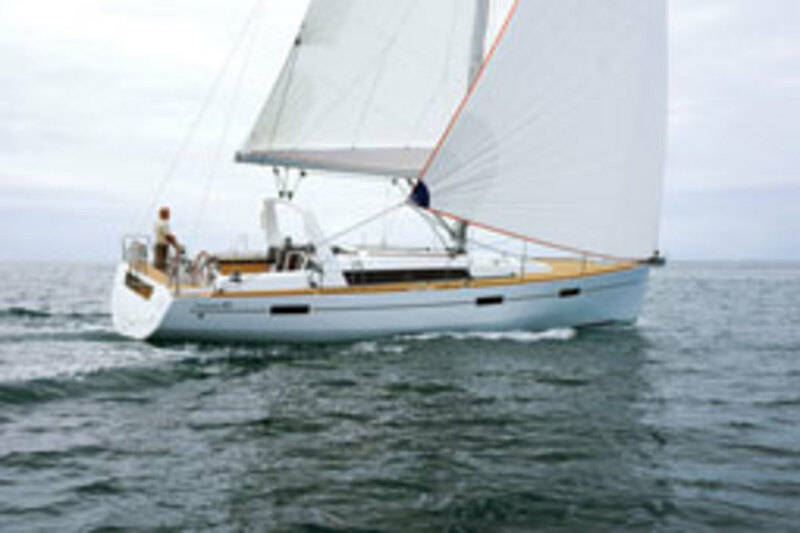 Built by the Bristol Boat Co. and sold through Herreshoff Designs (www.herreshoffdesigns.com), the H20 is planked in cedar over Douglas fir and offers several rig choices. A 2.5-hp electric inboard is optional. From the West Coast comes the Harbor 30 by W.D. 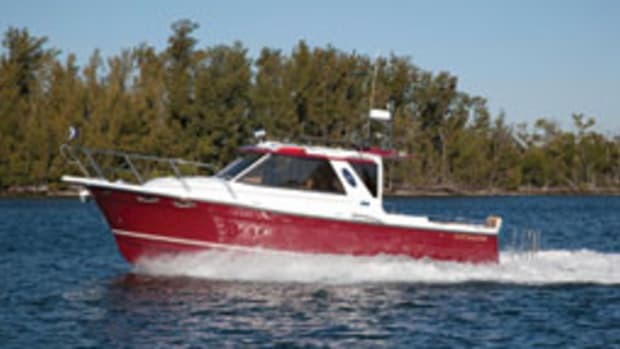 Schock Corp., (www.wdschock.com), the big sister of the Harbor 20 and Harbor 25, with more range and a more elaborate interior. The boat is billed as a crossover that combines daysailing with weekend cruising and prioritizes easy handling for single-handed or crewed operation. 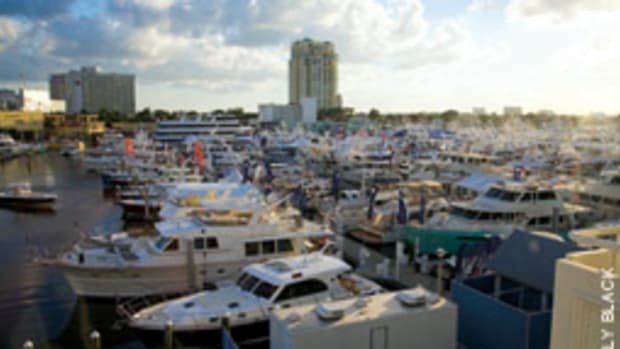 Hunter Marine (www.huntermarine.com) will show the Hunter e33, a coastal cruiser that updates the Hunter 33 along the lines of the company’s new styling with a pronounced hull chine, more beam aft and a hollower shape in the bow section. A longer waterline, more cockpit space, a fold-down swim platform and an optional 21.6-kW electric auxiliarymotor are other notable features. 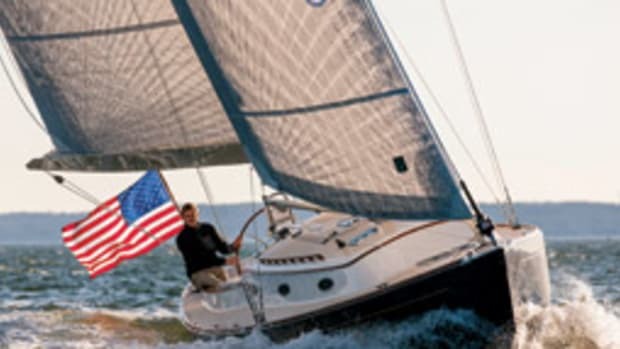 Coastal sailing with a performance bent is what J/Boats (www.jboats.com) has in mind with the J/108. 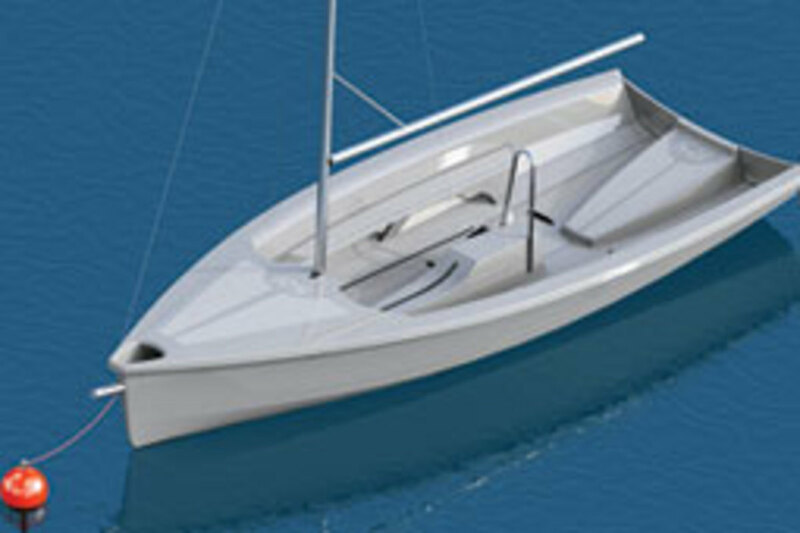 An interior with standing headroom, simplified sail handling, twin rudders, a ballast keel with retractable centerboard and a 4-foot draft (board up) combine for cruisability and zip while allowing the J/108 to go places that remain off limits to deep-draft boats. Island Packet Yachts (www.ipy.com) is eyeing newcomers to the comfort-cruising lifestyle and downsizers who are not calling it quits. The new Island Packet 360 features the signature integral hull and keel with encapsulated ballast, moderate draft and a versatile cutter rig. Amenities include a convertible settee and two reclining, swiveling armchairs in the saloon. Sunsail (www.sunsail.com) is introducing the four-cabin, four-head Sunsail 444, a cruising/charter catamaran with a forward cockpit that’s accessible from the saloon. It’s equipped with solar panels on the hardtop to augment power generation. The same boat is offered to private owners as the Leopard 44, which has two guest cabins to port and an owner’s suite in the starboard hull. Like the Sunsail and Leopard, the Moorings 3900 catamaran is built by Robertson and Caine in South Africa. The Moorings (www.themoorings.com) says the boat is designed to appeal to customers who plan to own their boat, which is why the layout offers two cabins to port and an owner’s suite to starboard. On the small-boat side, RS Sailing (www.rssailing.com) has announced the RS Venture, a 16-footer for institutional use as a trainer or as a family daysailer. The boat, set to make its U.S. debut in the winter, has a big cockpit for as many as six adults, a storage box aft and internal lead ballast to assist with self-righting. What sounds like sage advice for industry executives also sounds like a good deal for customers.